Sept. 12, 2017–Patients with obstructive sleep apnea (OSA) are more likely to use CPAP, or continuous positive airway pressure, when their use is telemonitored and they receive individualized, automated messages that reinforce therapy adherence, according to a randomized, controlled trial published in the American Journal of Respiratory and Critical Care Medicine. In "Effect of Telemedicine Education and Telemonitoring on CPAP Adherence: The Tele-OSA Randomized Trial," researchers report that after 90 days, those in the telemonitoring arms of the trial used CPAP 36 to 60 minutes longer each night. "With this study, we explored potentially cost-effective strategies for improving CPAP use, given the well-known challenges with optimizing CPAP adherence," said lead study author Dennis Hwang, MD, a pulmonologist and sleep expert at the Kaiser Permanente Fontana [California] Medical Center in Fontana. "Automated telemedicine strategies may improve patient engagement and reduce the need for labor-intensive, and costly, follow-up care." CPAP is considered the "gold standard" for OSA treatment, but many patients do not use the therapy long enough each night to gain health benefits. In this study, telemonitoring was possible because the CPAP devices recorded usage and transmitted the data wirelessly to a software program that generated the customized messages. Telemonitoring also improved the rate at which patients achieved Medicare's CPAP adherence goals of CPAP use for four hours or more per night on 70 percent or more nights during a 30-day period in the first three months of use. Medicare adherence was 22 to 37 percent higher in the telemonitoring arms of the study. The study enrolled 1,455 adult patients who were referred to the Kaiser Permanente Fontana Sleep Disorders Center. The patients were randomly assigned to a control group, which received usual care or one of three intervention arms, which included usual care plus 1) online education, 2) telemonitoring with automated feedback, and 3) both online education and telemonitoring with automated feedback . Usual care consisted of a one-hour small-group class covering home sleep apnea testing and sleep apnea and CPAP education. 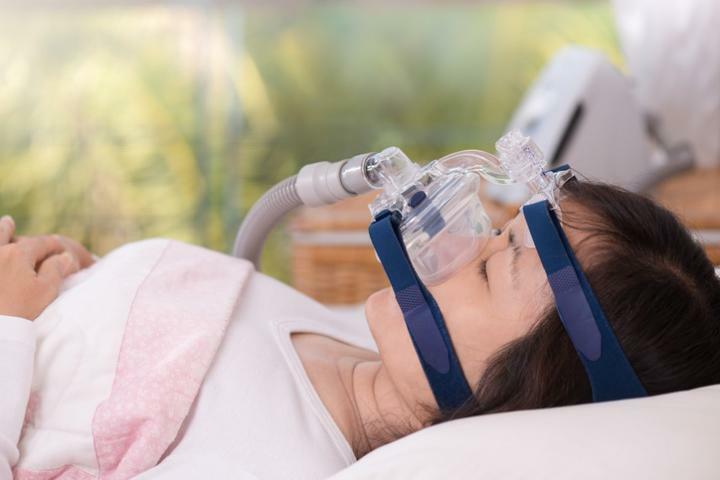 After a one-week CPAP trial in those diagnosed with OSA, usual care included a follow-up visit with a respiratory therapist who reviewed the data with patients and asked about their experience with the therapy. Those getting automated feedback received messages encouraging CPAP use by email, text, or phone based on each patient's preference. Messages were sent when CPAP use dropped below four hours on three consecutive nights and when the patient achieved Medicare adherence. By itself, being invited by email to participate in an online interactive education program did not increase CPAP adherence. However, patients in this study arm were more likely to attend the class than those who did not receive a link to the online education program. "We learned that both education and accountability strategies improve patient engagement, although in different ways," Dr. Hwang said. "We also learned that while patient education is important, it appears that accountability via telemonitoring is more effective at improving therapy adherence." The authors emphasized that the improved adherence achieved with telemonitoring required no additional provider intervention or staffing resources, making it highly cost effective. Although the overall improvement in adherence with telemonitoring was "substantial," the authors write, "the degree of response varied between individual patients." To further improve adherence, the authors recommend that future studies look at personalizing the messages based on what motivates a particular patient or based on the patient's own goals. Still, the authors write, automatic messaging is likely to be only "one solution among a larger set of management strategies to personalize the care for individuals."